Everything was as described and agreed upon, and the bottle of wine from a host at arrival was also a beautiful surprise and we felt really welcome and cozy at the apartment. Would visit again. 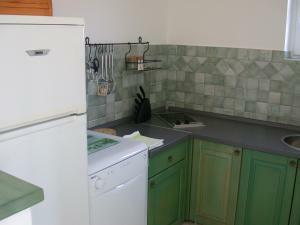 Nice, clean apartament, everything what is need was inside, big balony, very good contact with the owner. Distance from the beach not bad, beach beautiful, center also. 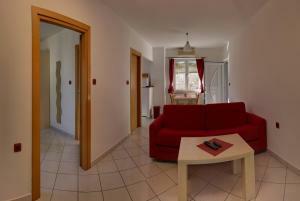 The apartment is few minutes walking from the beach. Owner was friendly and helpful. The rooms were clean and spacious. Parking place was at the location and Wifi signal was great. The real help at every point of the young man giving oversight and the scale of the property and its balcony. Das Appartement war sehr sauber und geräumig. Das Personal sehr nett. Kann ich jedem nur empfehlen. L’appartamento è nuovo, pulito e arredato con gusto. Gentilissima la ragazza della reception. Ranta oli heti muutaman sadan metrin päässä asunnosta ja se oli hyvä, sillä se kohta rannasta oli mielestäni paras kohta. Vaikka sesonki oli huipussaan rannalta löytyi ihan hyvin tilaa koko perheelle. Asunto sijaitsee mäessä ja vahemmille ihmisille se saattaa olla haasteellinen matka kulkea rannalta takaisin. Ilmastointi asunnossa toimi hyvin ja asunto oli muutenkin hyvä. Ei mikään luksus, mutta erittäin hyvä. Kaikki täytyy aina suhteuttaa alueen vallitsevaan tarjontaan. Asunnon omistaja ja hänen vaimonsa olivat erittäin ystävällisiä. Ranta oli aivan huippu ja suosittelen kaikille. Très bien,propre et pas très loin de plages,petit resto dans le coin de rue plus bas,une bouteille de vin comme bien venu-merci beaucoup merci beaucoup a Melitza-concierge. Lock in a great price for Vis a Vis Apartments – rated 8.7 by recent guests! Vis a Vis Apartments This rating is a reflection of how the property compares to the industry standard when it comes to price, facilities and services available. It's based on a self-evaluation by the property. Use this rating to help choose your stay! 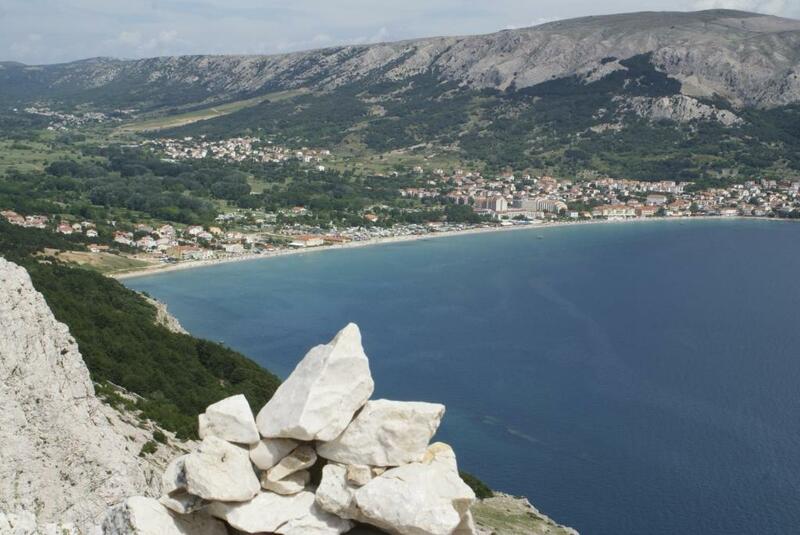 Located on Krk, in the newer part of Baska, Vis a Vis Apartments are only 1,000 feet from the beach. 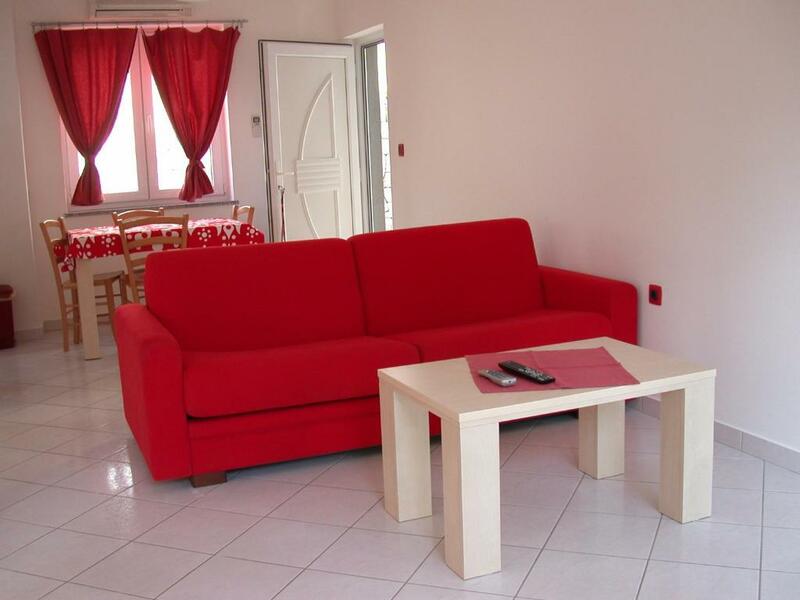 It offers free Wi-Fi and air-conditioning in all apartments. Vis a Vis Apartments provides flat-screen TVs and fully equipped kitchens with a dining area in all apartments. A lawn in front of the property features barbecue facilities. The airport of Krk is 30 miles away. For guests staying longer than 7 days, Vis a Vis Apartments provides an airport shuttle service upon request. 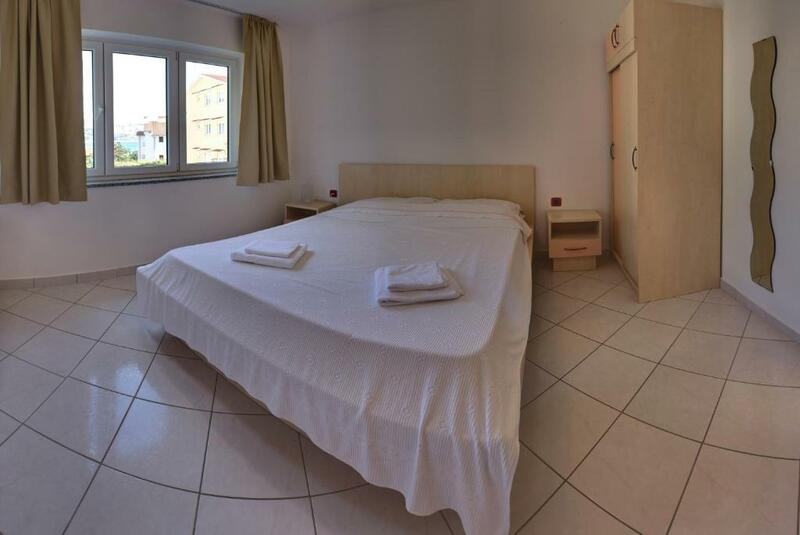 The center of the city of Baska is less than half a mile from Vis a Vis Apartments, restaurants and stores can be reached within 800 feet. Parking is free of charge at Vis a Vis Apartments. 뀐 Located in the top-rated area in Baška, this property has an excellent location score of 8.3! When would you like to stay at Vis a Vis Apartments? This apartment features an LCD Satellite TV, a balcony, a kitchen and a sitting area. This offer includes 7 days stay for the price of only 6 nights. The apartment that you will be staying in was built in 2004. The apartment is in private house. The outdoor stairs lead to the entrance of the apartment. The house is situated approx 250m from the main beach (a 2 km long pebble and sandy beach). The apartment is 49m2 big and consists of a bedroom, a kitchen, a bathroom, a big living room with a dining area and balcony. The apartment has a car park: this car park has a lock and as a guest staying in our house you will get the key to your car parks lock. 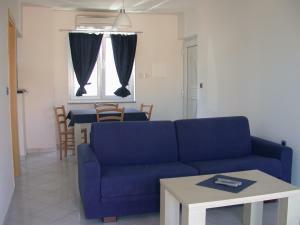 The apartment is turned seawards and is equipped with air conditioning. House description: In front of the house there is a big front yard with pine trees, olive trees, fire-place, where you can spend pleasant nights barbecuing delicious Croatian fish. You can e-mail us to our web address: to get more pictures of the house and more information. 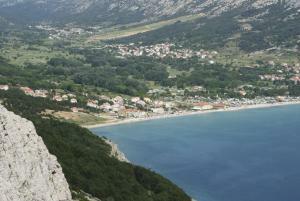 If you are planing to come by plane, we will be happy to meet you at the airport and take to Baska. House Rules Vis a Vis Apartments takes special requests – add in the next step! There is no kettle in the room, but you just need to ask the owner about that. Parking was a bit inconvenient but it was the same in the whole street, since it's quite steep. Not sharp knifes, just 2 dishes, no pan. No 4 completes of spoons and forks. Bad Internet connection. The walk up from the beach was not a great distance but quite demanding for older people in hot weather!